Giving back to the community is an essential part of the LASSO culture. Because of this, it has been very important for us to incorporate philanthropy initiatives into the very core of our business on an ongoing and regular basis. This includes leveraging LASSO’s people, technology and resources in order to help improve the community in which we live and work. Recently, the LASSO team in Atlanta, GA partnered with the North Fulton Community Charities for some volunteering time (as well as a lot of fun and team building time too!). The North Fulton Community Charities (NFCC) is a non-profit human service agency dedicated to preventing hunger and the homelessness of individuals residing in North Fulton County (North Metro-Atlanta area). NFCC assists families with basic needs such as food, rent and utilities, clothing, and adult education classes during short-term emergencies. 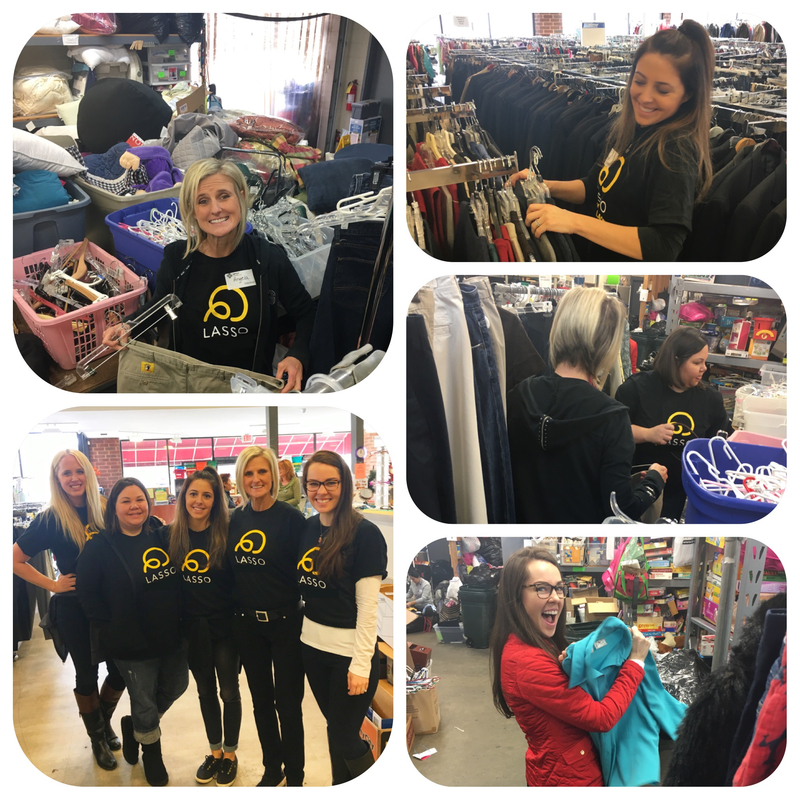 For LASSO’s most recent initiative, our team members worked in NFCC’s thrift shop, sorting through donated clothing and ensuring proper placement out in the store. All of the sales from NFCC’s thrift shop fund the various programs NFCC offers and ultimately helps those they serve achieve greater self-sufficiency. NFCC offers assistance to over 5,000 families annually. To learn more about how you can help, go to http://nfcchelp.org. On top of company-wide philanthropic events and initiatives, LASSO team members are encouraged to volunteer for projects of their choice. These programs enable our employees to become agents of change, spreading our culture of care throughout our community. Does this sound like an environment you’d like to be a part of? If you take philanthropy as serious as we do here at LASSO, be sure to check out our current openings.